Come see this 2016 Hyundai Santa Fe Sport 4DR FWD 2.4. Its Automatic transmission and Regular Unleaded I-4 2.4 L/144 engine will keep you going. 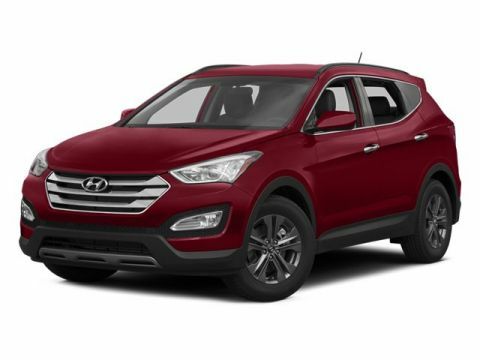 This Hyundai Santa Fe Sport has the following options: SERRANO RED, BEIGE, STAIN-RESISTANT CLOTH SEATING SURFACES -inc: Yes Essentials fabric, BEIGE, LEATHER SEATING SURFACES, Wheels: 17 x 7 Aluminum Alloy, Variable Intermittent Wipers, Urethane Gear Shift Knob, Turn-By-Turn Navigation Directions, Trip computer, Transmission: 6-Speed Automatic w/SHIFTRONIC -inc: lock-up torque converter and manual shift mode, and Transmission w/Driver Selectable Mode. See it for yourself at Red McCombs Hyundai Northwest, 13663 IH-10 West, San Antonio, TX 78249.